Okay let’s start with the fact that I don’t collect American football boots, but once I saw these Nike Vapor Untouchable II SB50 I knew I had to get them! 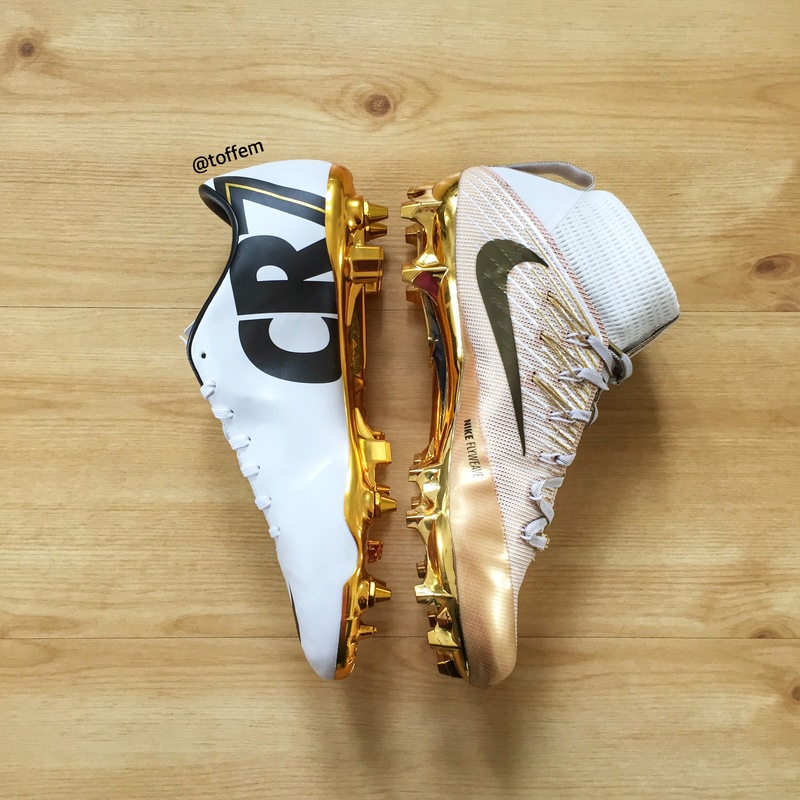 For me I think they look very similar to the Nike Mercurial Superfly IV. 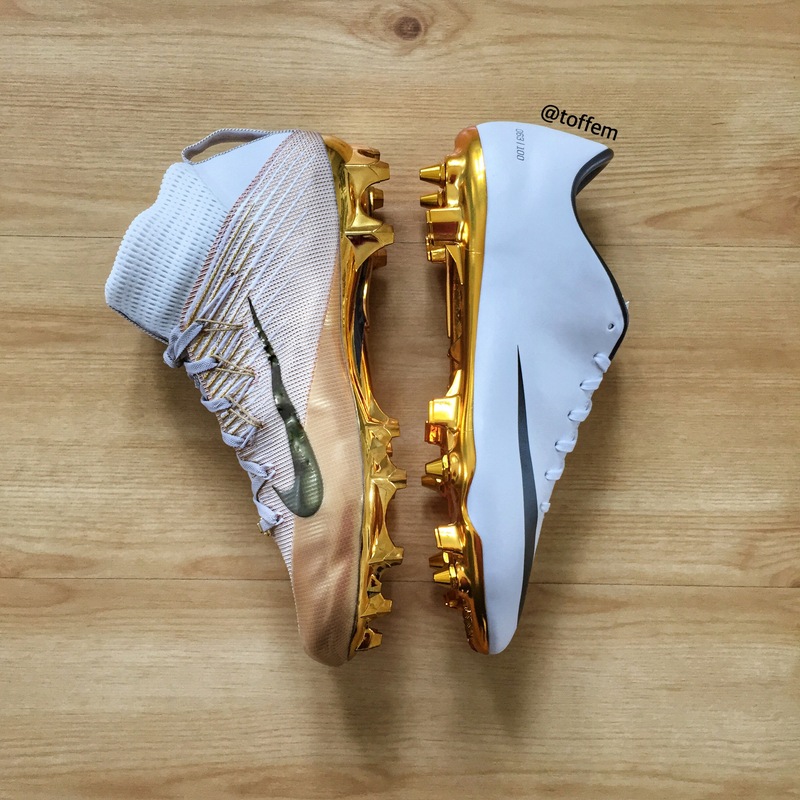 So I wanted to take a picture featuring two boots with golden soleplate! 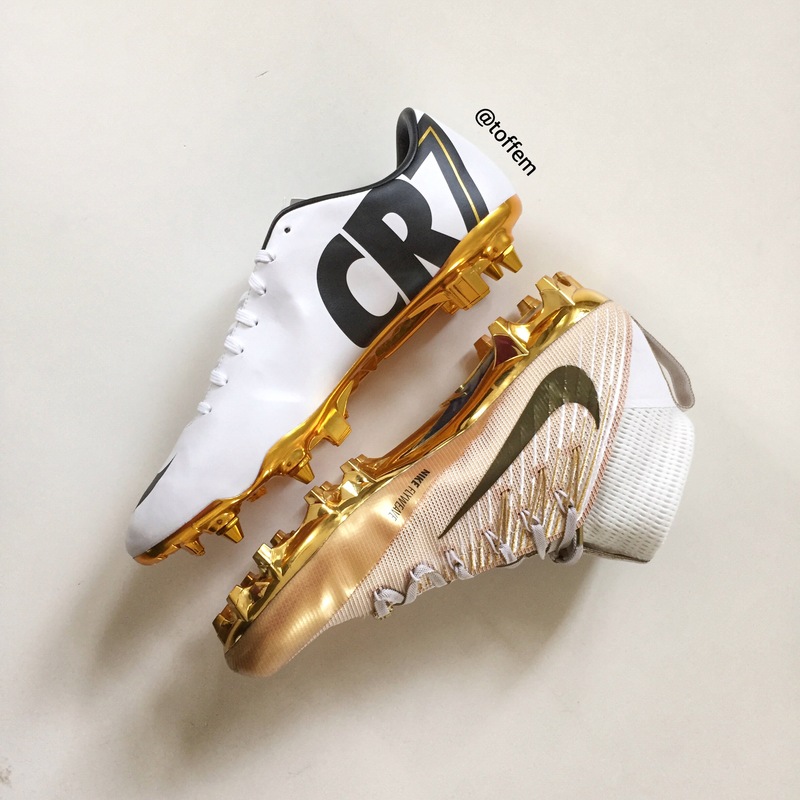 Which pair would you go with? I will choose the Nike Mercurial Vapor IX CR SE Sg-Pro, just cause they very limited (only 100 pairs made) and their design is very simpel which actually makes them a very classy boot!